Few Words About Atta Ullah Khan! 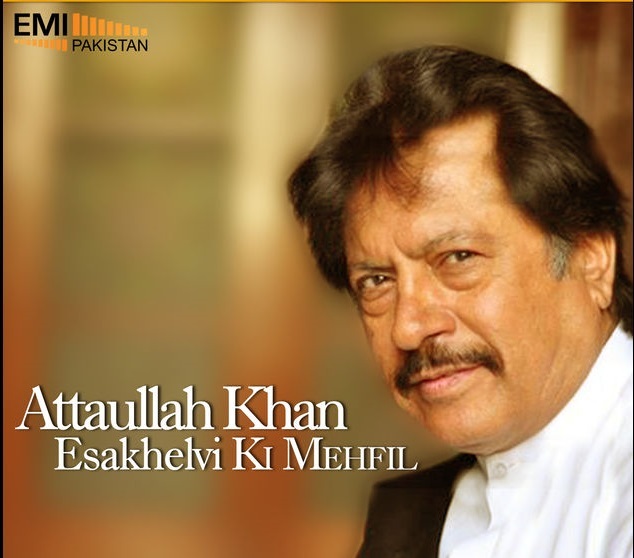 Atta Ullah Khan Esa Khelvi was born on 19th August 1951 in a town called Esa Khel. This is situated in the district Mianwali of Pakistan. He belongs to the famous Niazi Pathan clan, therefore he was named in his childhood as Atta Ullah Khan Niazi. His showbiz fame got him known as Atta Ullah Khan Esa Khelvi. He received his initial education at Esa Khel. Right from his childhood he had inner learning towards music and used to practise singing stealthily behind his parents back. The moment they found out there was trouble for Atta. It resulted in him having been expelled from home. Instead of getting down it provided him an impetus to struggle make a mark in life and came to conclusion this could only be achieved through education, so he worked in bits and pieces and continued his education and eventually graduated at Mianwali, at the same time he kept nourishing his childhood love of music which had contributed toward his family anger and revulsion and made his name to the extant that he was invited to do a show on Radio Pakistan Bahawalpur in 1972 and did a stage show as well in Mianwali the same year. These events made name for him and appeared on Pakistan Television in a very famous TV Programme called Nilam Ghar from Karachi. These performances projected him as an icon in music field especially his Saraiki style of singing appealed to young and old alike. His followers were spread all over the world and demands were growing for him to be heard. Therefore his first foreign concert was organised and presented in England in 1980. After 20 years ruling of the hearts of Pakistanis and Punjabi speaking people all over the world he entered film world and expressed his talents in 3 films and also sang geets in 8 films. Copyright © 2007-2016 AttaullahFansClub.com. All rights reserved.